Hot tubs offer an array of benefits such as improved health, ample social opportunities and the chance for relationship building. Sitting in a hot tub raises the body temperature and enhances your ability to fall asleep. Evening soaks promote restful, uninterrupted slumber. Warm, pulsating water increases blood supply to aching joints, which helps remove inflammatory particles from the area and relieves pain. A hot tub’s soothing water decreases stress and helps you unwind. Relaxation is at the top of the priority list for buyers who purchase a hot tub. Better than a masseuse, jets give the ultimate rubdown, whether you are in the mood for a gentle touch or a more forceful massage. In this hubbub world, it often becomes hard to find the time to share highlights of the day with your partner. A hot tub creates the perfect opportunity to talk. Flip open the hot tub cover, start the jets, and watch how everyone in the family tends to leave the television room or computer station and head for a soak. You don’t have to say anything; if you lead, they will come. Hot tubs enjoy a long reputation for stirring sensual juices. Soaking sets the mood for love. Start the day with a refreshing soak while listening to the birds chirp and watching the sunrise. A cup of java and swirling water jumpstarts the day. Watching your favorite celebrities in a wireless Aquos screen while relaxing in warm water doubles the pleasure. PDC Spa hot tubs can all be outfitted with a wireless TV that offers cable, satellite, and DVD viewing right at spa side. Turn on the fiber-optic lighting and waterfall, and the hot tub becomes a centerpiece for backyard parties. Even if no one gets wet, its handsome appearance and soothing sounds become the center of attention. Not to mention cranking up the Rumble Audio system for awesome sound effects. Surprise your spouse with a hot tub decked out with all the amenities that will provide years of enjoyment. It makes a great anniversary gift to each other, or a Christmas present for the whole family. Let the warm water relax you as you find a soothing, quiet place to catch up on your reading. Some hot tub owners keep the water at a lower temperature in the summer so they can place a raft in the hot tub and float around while cooling off. Hot tubs offer an array of benefits: improved health, ample social opportunities, and the chance for relationship building. There's no need to travel to a posh resort when you can create the ambiance of a vacation—right in your own backyard. For optimum convenience and privacy, place your hot tub on the deck of the master bedroom. When ready for a soak, just slip out the door and into the warm embrace of the water. When the snow starts falling, hot tub owners like to head outdoors to experience the unique hot and cold sensation of letting icy snowflakes hit their skin, while relaxing in the hot, bubbly water. While some hot tub owners choose to take their units with them when they move, others find that it adds to their existing home’s value, especially if landscaping or other amenities enhance the backyard as well. Today’s self-contained hot tubs maintain a steady heat, always ready for you to step in and enjoy yourself. There is no more turning on the heater and waiting for warm water. Watch the sky twinkle on a starry night. Pick out the Big Dipper, Orion and other constellations. Like a magnet, a hot tub draws friends and offers opportunities to get to know someone better. Invite your guest for a light meal, and then offer an impromptu soak. Placing the hot tub in a sunroom or in a gazebo allows the convenience of a home soak without having to worry about battling the elements or swatting the insects. Current hot tub models require very little maintenance. Textured shells and synthetic exterior cabinetry are designed to need little more than hosing off. Specialized jets that move up and down the spine soothe inflamed tissue and relieve the pain. With proper screening from nosey neighbors, slip out of restrictive garments and let your skin savor the sensual water. Slide into the warm, soothing waters after working out at the gym or participating in a pickup driveway basketball game. When you own the hot tub, you control the water quality. You don’t have to risk health problems by stepping into a public spa when you are assured safe water at home. When arguing with a loved one, step back and spend time in the spa for a new perspective. The water’s calming properties will help you think more clearly and clear the air for peacemaking. Get to know your children’s friends by rolling out the hot tub welcome mat. It is always good to know that you can find your youngsters and their friends in your hot tub hangout. Sit in a therapy seat and feel the soothing massage of warm water from your neck to the tip of your toes. Hot tub owners rave about these special seats—like the Captain’s Chair. Soaking with a special someone sets the scene for memory-making. You will easily recall the time that you witnessed a sunset, or the evening that a shooting star streaked across the sky. Electronic special effects lighting in LV or LED enhance the visual appeal of sitting in a hot tub. Whether selecting a solid color or watching revolving rainbow hues, special lighting lets owners set the mood. Better insulation and state-of-the-art heating systems help to keep operating costs to a minimum. It is a runaway winner in any dollars-per-minute-of-joy contest. Whatever your taste in music, a state-of-the-art, in-spa stereo system allows you to sing along with your favorite vocalists, surrounded by bubbling acoustics. While traffic hassles can rattle the calmest of drivers, just knowing that a hot tub soak awaits you is sure to settle your nerves. There is no need to stay inside waiting for the cold weather to pass when the hot tub’s warm water and escaping warm air can keep you from becoming chilled. The warm, swirling waters can speed recovery from minor injuries, and it can often be incorporated into a rehabilitation program after a more severe mishap. A hot tub, a cool beverage and some tasty hors d’oeuvres create the perfect happy hour—without ever leaving the house. Tension seems to settle in the neck and shoulder region. Special jets surrounding the neck provide pulsating, rhythmic relief. What better way to get in touch with your inner self than in warm, swirling water? Close your eyes, breathe easy and say Om. 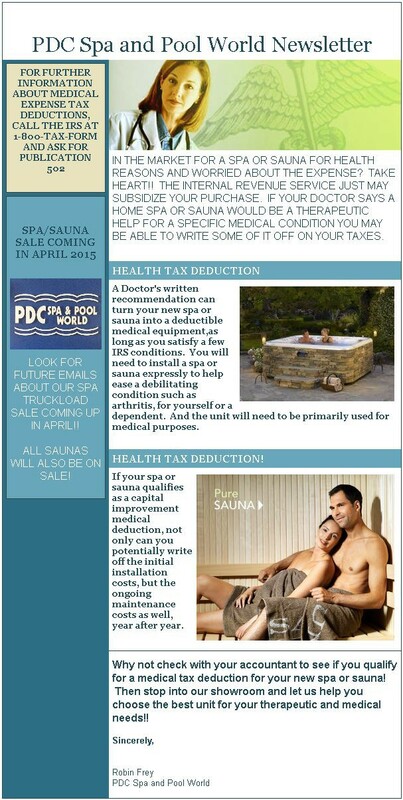 A hot tub enables you to add an aquatic retreat without increasing your taxes. As a portable aboveground unit, it does not add to your home’s taxable value. After an evening out with friends, top off the night with a soak. Invite everyone back to talk about the high points or laugh about the things that did not turn out as well as expected. The swirling water helps to wash away your troubles, grudges, and irritability. Use the hot tub as a form of emotional cleansing or to renew your spirit. Many people with fibromyalgia and other painful conditions find that a soak in the hot tub decreases the need for pain medication, providing relief without side effects. 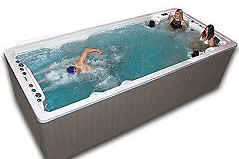 Purchasing a hot tub lets family and visitors know that you have stepped up a notch on the social scene. 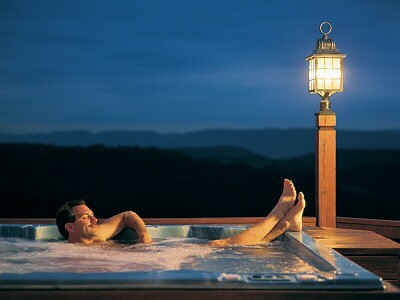 After a long day on the slopes or working outdoors, slipping into a hot tub will thaw that frozen-to-the-bone feeling. When your relationship is in the lull and moods are not in sync, light a few candles and start the jets. It is just the spark you need to send your special someone right back into your arms. 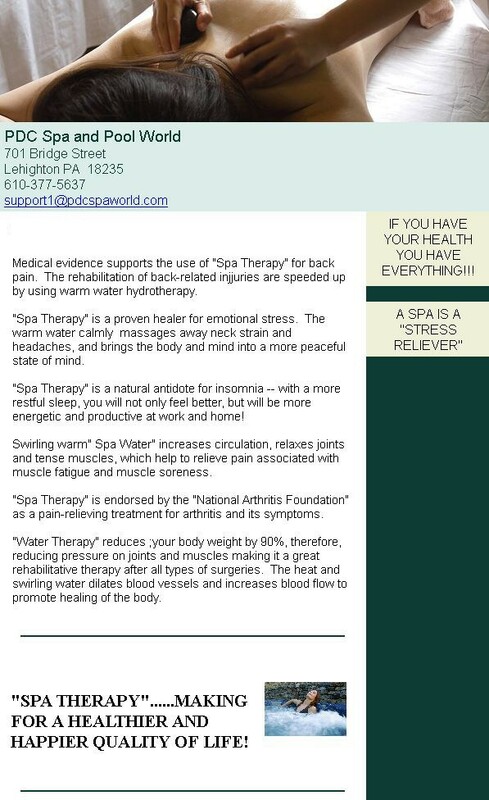 Many people find that soaking in a hot tub relieves headache pain, especially pain from tension headaches. As the body relaxes, so do the muscles in the head. Today’s hot tubs allow each user to adjust the flow of water. One person can enjoy a gentle massage on the neck, while another receives a more vigorous back rubdown. Get away from it all, without ever leaving your property. Relaxing in a hot tub can make you feel that you have escaped to a private paradise. Gather all those catalogs that have been lying around and browse to your heart’s content. Stock up on those great looking bikinis that you would never wear in public. Soaking in a hot tub makes you feel younger and totally alive, and you don’t even need a doctor’s prescription.